I was in Da Nang for a wedding which was a great excuse to return to a city I enjoy visiting. I’ve been four times now over the space of 12 years. The first time I was in Danang was in 2005, where I only passed through on a bus from Hoi An. I remember the city looking dusty and run-down. 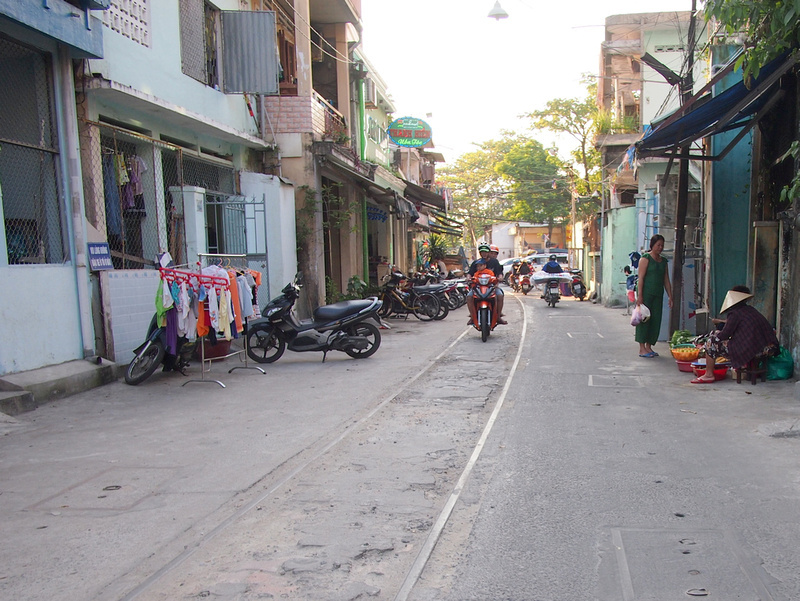 When I returned in 2013 it – like the rest of Vietnam – seemed to have transformed so much in such a short time. 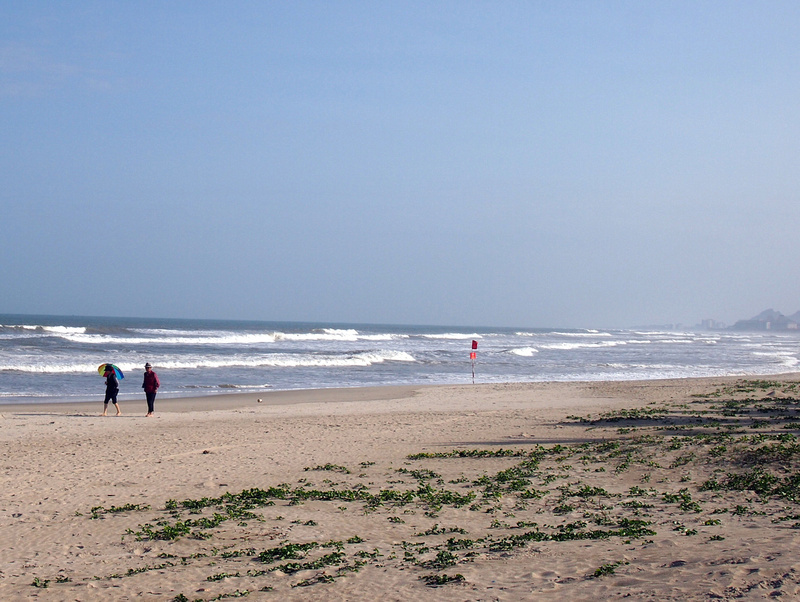 Danang has long been in the tourism shadow of Hoi An, which is a 30 minutes drive to the south. The city is growing and becoming a destination in its own right. 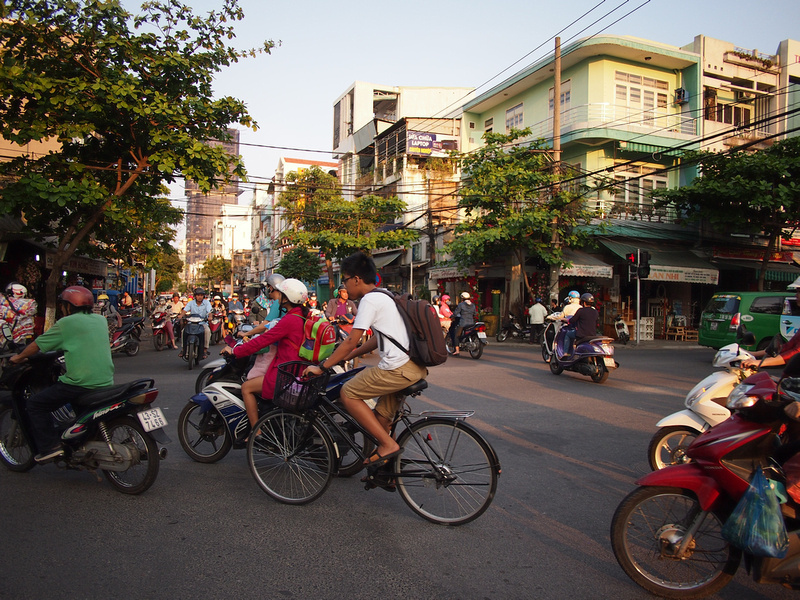 With its ideal location of being half way between Hanoi and Ho Chi Minh City, the government has plans to turn it into a modern hub city. There is a skyline emerging along the riverfront, and a fire-breathing dragon bridge has become the symbol of the city. Another noticeable change over the years has been the development of the My Khe beachfront. This was known by American servicemen as China Beach, and backpackers in the nineties and early oughts could find cheap guesthouses here. Until recently the beachfront was lined with seafood shacks. These restaurants sit on prime beachfront land, so it’s no surprise that these are being replaced by hotel developments. Read more about hotels in Da Nang. There are not many cities in Southeast Asia that are true cities on the beach front. I can see this stretch of beach becoming a mini Gold Coast. I’m all for this section of the beach becoming a city-by-the-sea and for Da Nang to become a more world-class city. What is concerning is the surrounding developments. Part of Da Nang’s charm is it being so close to the mountains and the sea. 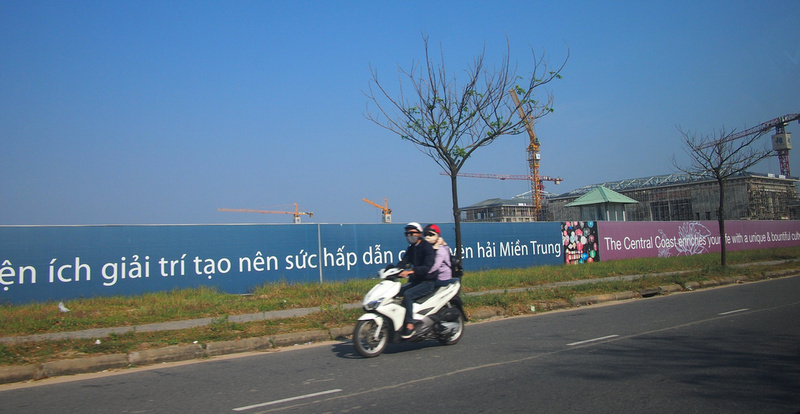 Overlooking the Bay of Da Nang is the Son Tra Peninsula which is about to be a mass of construction. And along the coast between Danang and Hoi An it seems that the whole beachfront will soon be wall-to-wall resorts, which is already seeing its beaches eroding from overdevelopment. Another thing Danang has going for it is its centrally-located airport. It takes about 10 minutes to drive from the airport to the downtown area by the river. 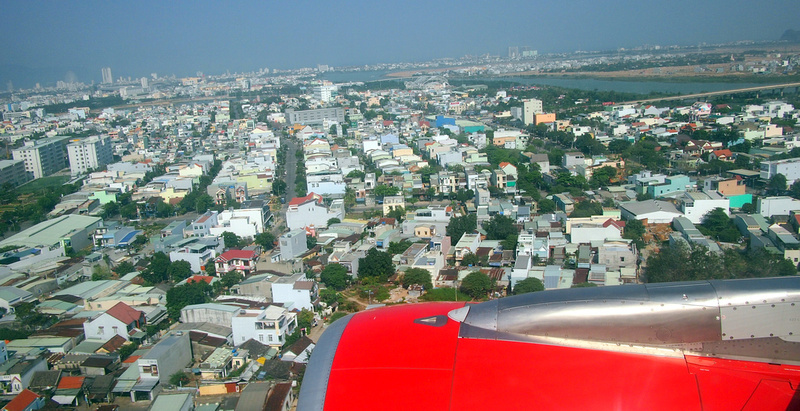 There are plans to expand the current airport while it continues to gather a collection of international flights, making it an attractive entry point into Vietnam. International flights are limited to East Asia and some Southeast Asia cities (KL, Singapore, Bangkok). With Vietjet Air expanding their reach it is likely that more Southeast Asia options will be added, and I predict that one of the big Middle Eastern airlines (the ME3) will fly here within 10 years. 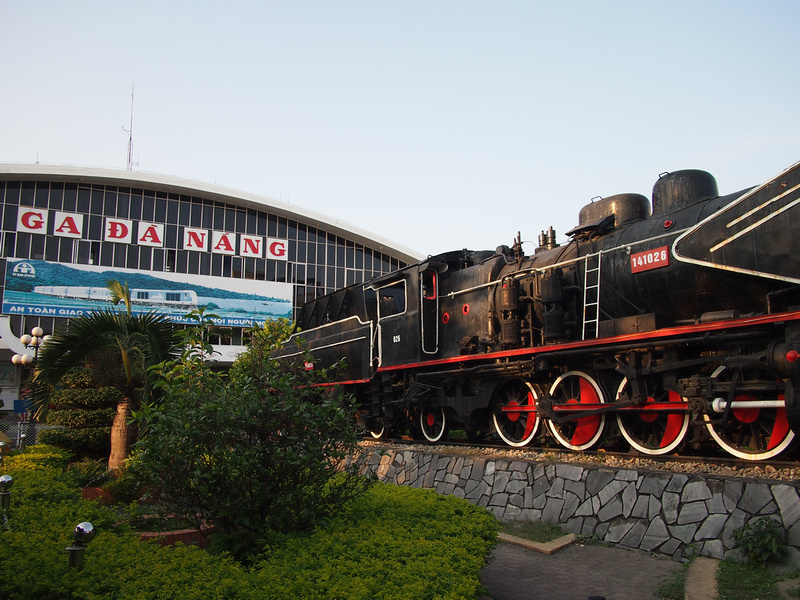 The train station is also in central Da Nang, but it will be moved eventually. The train used to loop through the city, which you can still see the old track. The train now has to switch engines at the station, which is a time consuming process. The station will be moved outside the city so train will be able to pass through. In the future the station will become a hub for trains coming in from Laos and Thailand. Whenever I visit a city I like to see what it’s like to work and live. For now Da Nang doesn’t have the big city diversions that I find in mega cities like Saigon and Bangkok. Watch this space though, as I think this will change in the next few years. I suspect hipsters that have been priced out of Saigon and Hanoi will come here, and there will be a wave of interesting cafes and restaurants opening up. Wow! lovely read. Nice to that that the airport is centrally located. Very informative. Thanks for sharing! Impressive blog! Really informative. Thanks for sharing mate! 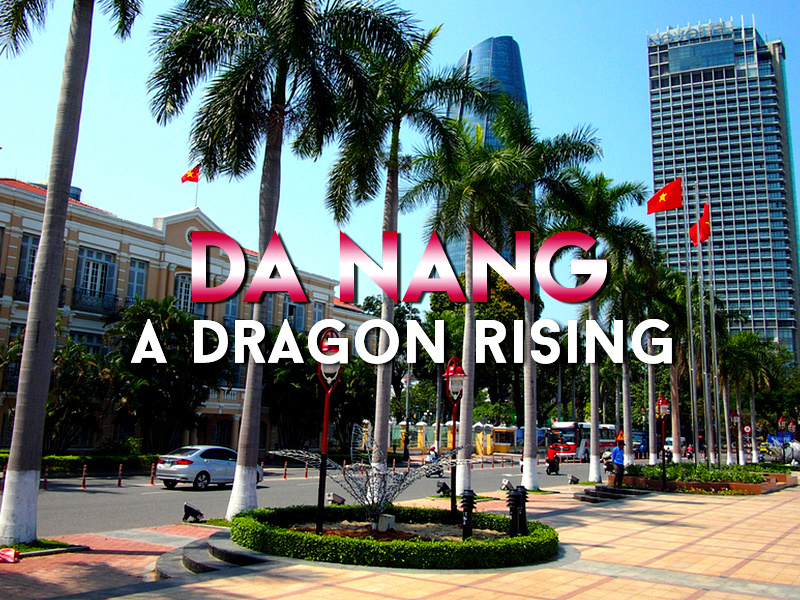 I just spent a few weeks in Da Nang – my first time there. This is a good piece that reflects my own feelings towards the city. Having been in HCMC for a few weeks before and currently spending time in Hanoi, I can see the appeal of Da Nang as a modern, spacious, international city. I enjoyed the beach, the city centre, and relative calmness for a Vietnamese city. The small neighbourhood feel to streets around the city centre and a few streets back from the beach was great. The Son Trang peninsula is wonderful and so is the close access to mountains via a scooter. But it did also feel like what soul there is in the city would soon be given over to mass tourism. The huge amount of construction work seemed to blight every corner of the city, with the beach areas seeming the worst affected. And wall-to-wall accommodation seems to already be the norm – I imagine this will only be worse in 5 years time. I hope you’re right and that it develops into a somewhat hipsterish location too, outside of the tourism. I know things develop and that’s just how it goes. But Da Nang seems at a real risk of massive overdevelopment.